The basis of our business model lies undoubtedly on the competent and efficient selection of the best-suitable professionals for each of the missions. Besides the technical skills and abilities, we assess also the soft skills, including ethical aspects of each of the professionals to be placed in our customers’ organizations. Our BRAINFORCE selection process is based on transparent criteria. It has been perfectionated over decades and enables us to match perfectly the candidates profiles, experience, skills, personality traits their availability to assume time limited projects. The basis of our operation is the creation of value to our customers according to high standards of competence, ethics and sustainability. We permanently and thoroughly search innovation as the basis for our offer of solutions to our customers. We are motivated by the combination of a clear focus in results for our customers and the increasing need of challenging projects for which the participation of 50+ professionals is a true value-added, thus allowing a positive contribution for the sustainability of our society. From a base of more than 1’000 Portugese and Spanish speaking Professionals in the age of 50+, with strong technical skills and relevant management and leadership experience, we provide customized managerial solutions on demand. 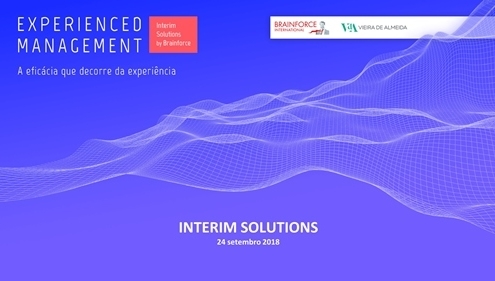 These managerial ressources are available thanks to our Associate company “Experienced Management – Interim Solutions by BRAINFORCE” in Lisbon. We perform specific and time-limited missions from the middle- to the top-level management level, as well as provide senior experts and specialists for challenging, specific tasks. The entire M.A.S.T.E.R.3-Pool® Management process is handled by BRAINFORCE. By this, we can offer our clients truly globally integrated solutions, far superior than any Franchise-based Interim Management Provider set-up’s. Together with our global BRAINFORCE M.A.S.T.E.R.3-Pool® containing more than 5’000 executives from South Africa to China, and from Western & Eastern Europe/Russia to South East Asia, BRAINFORCE is able to provide perfectly matching cross-border solutions. 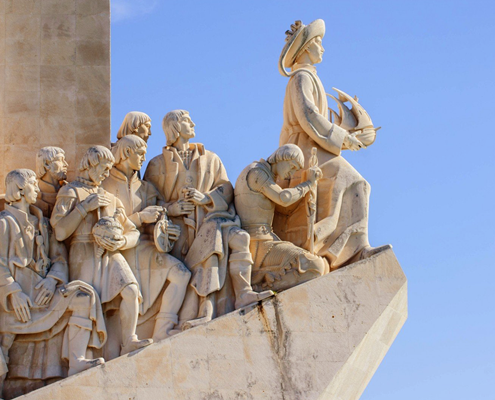 Up to 2018, the Portugese speaking countries have been white spots on the Interim Management landscape. In other European Markets, Interim Management has a 40 Year success history. In September 2018, BRAINFORCE established together with its local Partner an Associate Company in Lisbon. The goal is to provide high quality, proven Interim Management solutions in Portugal, Brazil, Angola, Mozambique & other Portugese speaking markets, with 280 million inhabitants globally.